In this inspiring young readers adaptation of Elizabeth Letts' New York Times bestseller, one American troop will save the world's most precious horses during the final stretch of World War II. 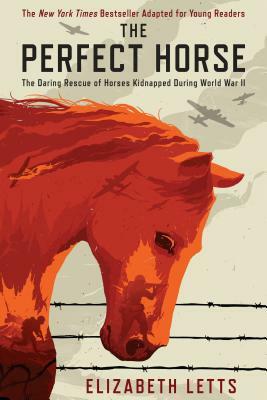 When a small troop of American soldiers capture a German spy, they uncover an unexpected secret: Hitler has kidnapped the world's finest purebred horses and hidden them in a secret Czechoslovakian breeding farm. But, starving Russian troops are drawing closer and the horses face the danger of being slaughtered for food. With little time to spare, Colonel Hank Reed and his soldiers cross enemy lines to heroically save some of the world's most treasured animals. In this thrilling young readers' edition of her New York Times bestselling book, Elizabeth Letts details the terrifying truth of Hitler's eugenics program during World War II and shares the story of the courageous American troop dedicated to stopping it.